At Whanganui River TOP 10 you can enjoy camping right by the river bank. Bring your caravan, motorhome or tent and sit back to enjoy the view. There is power and fresh water at every site along the river and plenty of picnic tables. 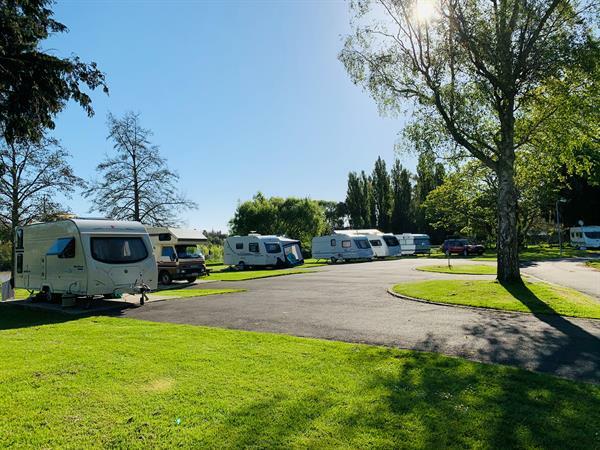 Not only can you enjoy everything that our Holiday Park has to offer, but you also have uninterrupted views of the mighty Whanganui River and the Waimarie Paddle Steamer as it goes past the park and gives you a 'toot toot'. Your site is just a stone's throw from the outdoor swimming pool which is heated to a warm 30 degrees for 8 months of the year. You are also just a short walk from our 4* plus communal facilities, which you will find maintained to the highest standard of cleanliness and with top quality appliances.